No.13 on my countdown of the top 20 streets in Cardiff based on their turnover and popularity is Wyncliffe Gardens in Pentwyn. As I have mentioned a number times in my local property market blog, with not enough new-build properties being built in Cardiff and the surrounding area to keep up with demand for homes to live in (be that tenants or homebuyers), it’s good to know more Cardiff home sellers are putting their properties on to the market than a year ago. At the start of 2007 there were 4,211 properties for sale in Cardiff but by February 2008, when the credit crunch was really beginning to bite, that number had risen to 8,500 properties on the market at a time when demand was at an all-time low, thus creating an imbalance in the local property market. Basic economics dictates that if there is too much supply of something and demand is poor (which it was in the Credit Crunch years of 2008/9) … prices will drop. In fact, house prices dropped between 15% and 20% depending on the type of Cardiff property between the end of 2007 and Spring 2009. However, over the last five years, we have seen a steady decrease in supply of properties coming onto the market for sale and steady demand, meaning Cardiff property prices have remained robust. A stable housing market is one of the foundations of a successful British economy, as it’s all about getting the healthy balance of buyer demand with a good supply of properties. Nevertheless, if you had asked me a couple of years ago, I would have said we were beginning to see there was in fact NOT enough properties coming on to the market for sale … meaning in certain sectors of the Cardiff property market, house prices were overheating because of this lack of supply. There were 2,525 properties for sale 12 months ago, and today that stands at 2,574. It doesn’t sound a lot, yet this is a small step in the right direction to a more stable property market. Even better news, since the Chancellor announced the stamp duty rule changes for first time buyers (FTB), my fellow agents in Cardiff say that the number of FTB’s registering on the majority of agent’s books has increased year on year. That has still to follow through into more FTB’s buying their first home, however, with the heightened levels of confidence being demonstrated by both Cardiff house sellers and potential house buyers, I do foresee the Cardiff Property Market will show steady yet sustained improvement during the first half of 2018. What does this mean for Cardiff landlords or those considering dipping their toe into the buy to let market for the first time? Landlords will need to keep improving their properties to ensure they get the best tenants. It is true that demand amongst FTB’s is increasing, albeit from a low base. Even with the new landlord tax rules, buy to let in Cardiff still looks a good investment, providing Cardiff landlords with a good income at a time of low interest rates and a roller coaster stock market. If you are thinking of investing in bricks and mortar in Cardiff, it is important to do things correctly as making money won’t be as easy as it has been over the last twenty years. With a greater number of properties on the market .. comes greater choice. Don’t buy the first thing you see, buy with your head as well as your heart … and don’t forget the first rule of Buy To Let Investment ….. The degree to which young Cardiff Bay people are locked out of the Cardiff Bay housing market has been revealed in new statistics. A Cardiff Bay landlord was asking me the other week to what effect homeownership rates in Cardiff Bay in the early to middle aged adult age range had affected the demand for rental property in Cardiff Bay since the Millennium. I knew anecdotally that it affected the Cardiff Bay rental market, but I wanted some cold hard numbers to back it up. As you know, I like a challenge when it comes to the stats.. so this is what I found out for the landlord, and I’d like to share them with you as well. As anyone in Cardiff Bay, and most would say those born more recently, are drastically less likely to own their own home at a given age than those born a decade earlier, let’s roll the clock back to the Millennium and compare the figures from then to today. In the year 2000, 45.6% of Cardiff Bay 28-year olds (born in 1972) owned their own home, whilst a 28 year old today born in 1990) would have a 24.3% chance of owning their own home. Next, let’s look at someone born ten years before that. So, going back to the Millennium, a 38 year Cardiff Bay person (therefore born in 1962) would have a 67.4% chance of owning his or her own home and a 38 year today in Cardiff Bay (born in 1980) would only have a 52.5% chance of owning their own home. If you look at the graph below, split into the four age ranges of 25 year olds (yo) to 29yo, 30yo to 34yo, 35yo to 39yo and finally 40yo to 44 yo, you will quite clearly see the changes since the Millennium in Cardiff Bay. The fact is the figures in Cardiff Bay show the homeownership rate has proportionally fallen the most for the youngest (25yo to 29yo) age range compared to the other age ranges. The landlord suggested this deterioration in homeownership in Cardiff Bay across the age groups could be down to the fact that more of those born in the 1980’s and 1990’s (over those born in the 60’s and 70’) are going to University and hence entering the job market at an older age or those young adults are living with their parents longer.I read some national homeownership statistics of different age groups with the same number of years after they left education (rather than at the same age) and that gave an identical dip to the graph above. Neither are these drops in homeownership related with a significant increase in the number of young adults living with their parents. Again, nationally, that has hardly changed over the last 20 years as the percentage of 30-year-olds living with Mum and Dad only increased from 22% of those born in the early ‘70s to 23% of those born in the early ‘80s. So, what does this mean for the rental market in Cardiff Bay? Only one thing .. with the local authority not building Council houses, Housing Associations strapped for cash to build new properties and the younger generation not buying, there is only one way these youngsters can obtain a roof over their head and have a home of their own .. through the private landlord sector. Now with the new tax rules and up and coming licensing rules, Cardiff Bay landlords will have to work smarter to ensure they make the investment returns they have in the past. If you ever want to pick my brains on the future direction of the Cardiff Bay rental market .. drop me line or pop in next time you are passing my office. Youngsters unable to buy their first home in Cardiff – Are the Baby Boomers and Landlords to Blame? Talk to many Cardiff 20 something’s, where home ownership has looked but a vague dream, many of them have been vexatious towards the Baby Boomer generation and their pushover ‘easy go lucky’ walk through life; jealous of their free university education with grants, their eye watering property windfalls, their golden final salary pensions and their free bus passes. If you had bought a property in Cardiff for say £20,000 in first quarter of 1977, today it would be worth £253,628, a windfall increase of 1168.14%. But to blame the 60 and 70 year olds of Cardiff for that sort of rise seems a little unfair, with the value of the homes rising like rocket, I don’t believe they can be censured or made liable for that. A few weeks ago, I discussed in my blog the number of people in the Cardiff area who have two or more spare bedrooms (meaning they are under-occupying the house). I see many mature members of Cardiff society, rattling around in large 4/5 bed houses where the kids have flown the nest years ago … but should they be blamed? Neither do I directly blame the multitude of Cardiff buy to let landlords, buying up their 10th or 11th property to add to their buy to let empire. They too, are humbly reacting to the peculiar historic inducements of the UK property market. Well, hyperinflation in the 1970’s meant the real value of people’s mortgages was whipped out (as mentioned above). Margaret Thatcher and Nigel Lawson are also good people to blame with Maggie selling off millions of council houses and Nigel Lawson’s delayed ending of the MIRAS tax relief in 1987; meaning he too can get his share of indignation. The Blair/Brown combo doubled stamp duty in 1997 and again in 2000, which, as a tax on property transactions, precludes a more efficient distribution of the current housing stock. 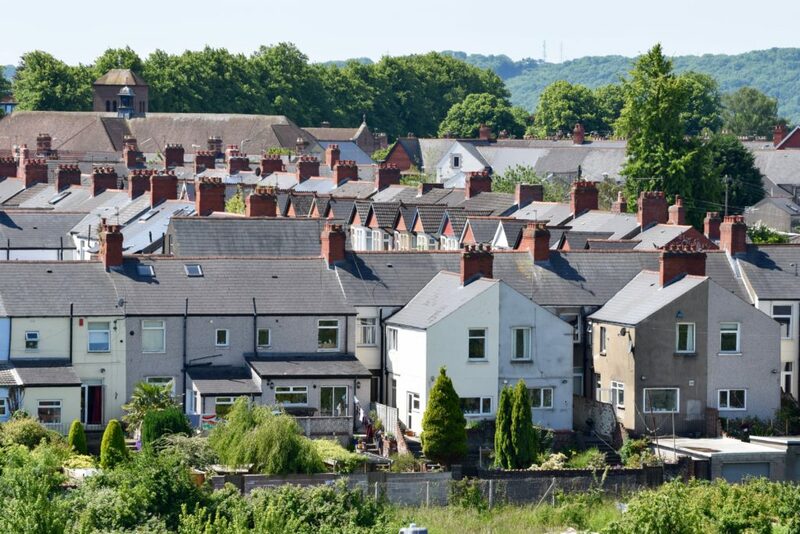 The Government has had plenty of opportunity to change the draconian stamp duty rules to incentivise those mature Cardiff house movers to downsize. However, I have started to see over the last few years a change in Government policy towards housing. The new breed of Cardiff buy to let landlords that have come about since the Millennium, have had their wings clipped over the last couple of years, with the introduction of new tax rules (meaning it is slightly more difficult to make money out of property unless you have all the national information and Cardiff property trends to hand). It’s easy to think the only reason that hundreds of first time buyers have been priced out of the Cardiff housing market is because of these landlords. Yet, I believe landlords have been undervalued with the Cardiff homes they provide for Cardiff people. With first time buyers struggling to save for a deposit, if it weren’t for those landlords buying up those homes over the last 10/15 years, we would have a bigger housing crisis than we have today. Since the global financial crisis of 2008/9, local councils have had to cut services, so certainly didn’t have enough money to build new homes … homes that were provided to Cardiff by these buy to let landlords. One side of the argument is that 1,871 homes are being bought up by buy to let landlords each year in the Cardiff City Council area when otherwise they might have become available to other buyers, the other side of the argument is the current national average deposit is £51,800, which is, by far, the greatest barrier to those wanting to buy their first home. Those homes bought by local buy to let landlords are not left idle, as they equate to 13,096 of new homes for local people, most of whom who see renting as a better option because of the choice, the simplicity and the flexibility which renting brings. Interestingly I was chatting with a self-managed landlord from Cyncoed, when I was out socially over the festive period, who didn’t realise the other recent legislations that have hit the Private Rented sector, including the ‘Right to Rent’ regulations which came in to operation last year. Landlords have to certify their tenants have the legal right to live in the UK. This includes checking and taking copies of their tenant’s passport or visa before the tenancy is signed. Of course, if you use a letting agent to manage your property, they will usually sort this for you (as they will with the redress scheme when that is implemented). Overall, Cardiff doesn’t match the national trend, with the number of properties on the market actually dropping by 4% in the last year. It was particularly interesting to see the number of flats increase by 12%, yet the number of semis on the market drop by 19%. However, speaking with my team and other property professionals in the city, the majority of that movement in the number of properties and the types of properties on the market isn’t down to landlords dumping their properties on the market. The whole property market has changed in the last 12 months, with the majority of the change in the number and type of properties for sale due to the owner-occupier market, not landlords (a subject I will write about soon in my Cardiff Property Market blog later this Spring?). You see, for the last ten years, each month there has always been a small number of Cardiff landlords who have been releasing their monies from their Cardiff buy to let properties – as is the nature of all investments! Nevertheless, some Cardiff landlords will want to release the equity held in their Cardiff buy to let properties in 2018. All I suggest is that you speak with your letting agent first, as putting a rental property on the open market often spooks the tenants to hand in their notice days after you put it on the market (because they don’t like the uncertainty and also believe they will become homeless!). This means you have an empty property, costing you money with no rent coming in. However, some letting agents who specialise in portfolio management have select lists of landlords that will buy with sitting tenants in. If you have a portfolio in the Cardiff area and are considering selling some or all of them – drop me a line as I might have a portfolio landlord for you (with the peace of mind that you won’t have any rental voids). Cardiff Bay homeowners will be among those affected by the latest rise in the Bank of England interest rates. The first increase in 10 years; they have just been raised from 0.25 percent to 0.5 per cent. This uplift comes as inflation hits a 51-month high of 2.9 per cent whilst the national unemployment rate is at an all-time low of 4.3 per cent. I have to ask by how much Cardiff Bay homeowners (on variable rate or tracker mortgages) will see their repayments increase? So, what will this interest rate actually do to the Cardiff Bay housing market? Well, if I’m being frank – not a great deal. The proportion of Cardiff Bay homeowners with variable rate mortgages (and thus directly affected by a Bank of England rate rise) will be smaller than in the past, in part because the vast majority of new mortgages in recent years were taken on fixed interest rates. The proportion of outstanding mortgages on variable rates has fallen to a record low of 42.3 per cent, down from a peak of 72.9 per cent in the autumn of 2011. If more Cardiff Bay people are protected from interest rate rises, because they are on a fixed rate mortgage, then there is less chance of those Cardiff Bay people having to sell their Cardiff Bay properties because they can’t afford the monthly repayments or even worse case scenario, have them repossessed. Now of course there is a certain amount of uncertainty with regard to Brexit and the negotiations thereof, but fundamentally the British economy is in decent shape. People will always need housing and as we aren’t building enough houses (as I have mentioned many times in the Cardiff Bay Property Blog), we might see a slight dip in prices in the short term, but in the medium to long term, the Cardiff Bay property market will always remain strong for both Cardiff Bay homeowners and Cardiff Bay landlords alike. My research shows that certain types of Cardiff Bay property are more affordable today than before the 2007 credit crunch. Roll the clock back to 2007 just before the credit crunch hit which saw Cardiff Bay property values plummet like a lead balloon and the Cardiff Bay property market had reached a peak with the prices for Cardiff Bay property hitting the highest level they had ever reached. Between 2008 and 2010, Cardiff Bay property values lay in the doldrums and only started to rise in 2011, albeit quite slowly to begin with. Nevertheless, even though property values have now passed those 2007 peaks, my research indicates that Cardiff Bay property, especially flats/apartments, are now more affordable than they were before the 2008 credit crunch. Back in 2007, the average value of a Cardiff Bay flat/apartment stood at £164,276 and today, it stands at £178,796, a rise of £14,520 or 8.8%. However, between 2007 and today, we have experienced inflation (as measured by the Government’s Consumer Price Index) of 25.97% meaning that in real spending power terms Cardiff Bay apartments are 17.1% more affordable than in 2007. Looking at it another way, if the average Cardiff Bay apartment (valued at £164,276 in 2007) had risen by 25.97% inflation over those 10 years, today it would be worth £206,938 (instead of the current £178,796). The point I’m trying to get across is that Cardiff Bay property is more affordable than many people think. Cardiff Bay first time buyers can get on the ladder as 95% mortgages have been readily available to first-time buyers since 2010. It really comes down to a choice and if Cardiff Bay first-time buyers can get over the hurdle of saving the 5% deposit for the mortgage on the property – they will be on to a winner, especially with these ultralow mortgage interest rates, a mortgage can be between 10% and 30% cheaper per month than the rental payments on the same house. So why aren’t Cardiff Bay 20 somethings buying their own home? Back in the 1960’s and 1970’s, renting was considered the poor man’s choice in Cardiff Bay (and the rest of the Country) a huge stigma was attached to renting. However, over the last 10 years as a country, we have done a complete U-turn in our attitude towards renting – meaning that many people find renting a better option and a lifestyle choice. Saving the 5% deposit means going without many luxuries in life (such as holidays, every satellite movie and sports channel, socialising or the latest mobile phone – even if only in the short term) therefore instead of saving every last pound to put towards a mortgage deposit Cardiff Bay 20 somethings choose to rent. There is no denying the simple fact that over the next 10 to 15 years, the people who choose to rent instead of buy in Cardiff Bay will continue to rise. 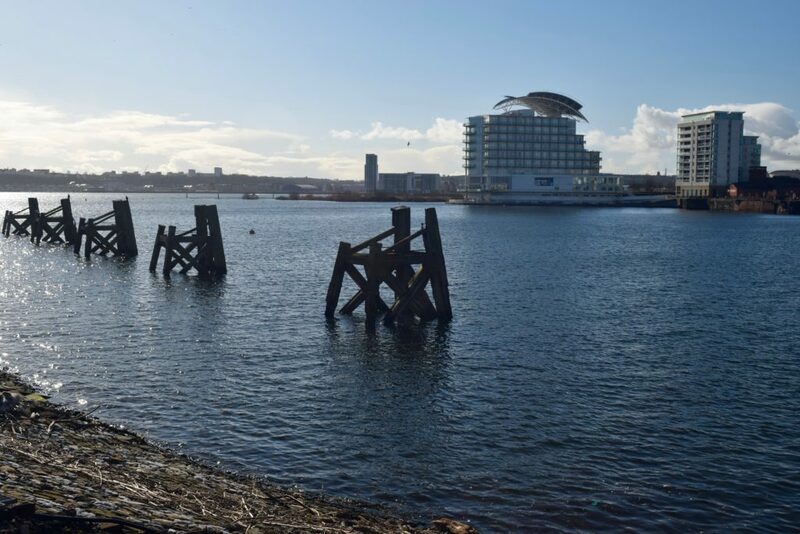 Therefore, everyone in Cardiff Bay has a responsibility to ensure that an adequate number of quality Cardiff Bay rental properties are safeguarded to meet those future demands. Interestingly, what I have noticed though over the last few years are the expectations of Cardiff Bay tenants on the finish and specification of their Cardiff Bay rental property. I have perceived that in the past, what a tenant wanted from their Cardiff Bay rental property was moderately unassuming because renting a property was only a short-term choice to fill the gap before jumping on the property ladder. Before the millennium, wood chip wall paper and twenty-year-old kitchen and bathroom suites were considered the norm. However, Cardiff Bay tenants’ expectations are becoming more discerning as each year goes by. I have also noticed the length of time a tenant remains in their Cardiff Bay property is becoming longer (and this was backed up recently by stats from a Government Report), although I have noticed a tendency for many Cardiff Bay landlords not to keep the rental payments at the going market rates – maybe a topic for a future article for my blog? The bottom line is this … Cardiff Bay landlords will need to be more conscious of tenants needs and wants and consider their financial planning for future enhancements to their Cardiff Bay rental properties over the next five, ten and twenty years – e.g. decorating, kitchen and bathroom suites etc etc .. 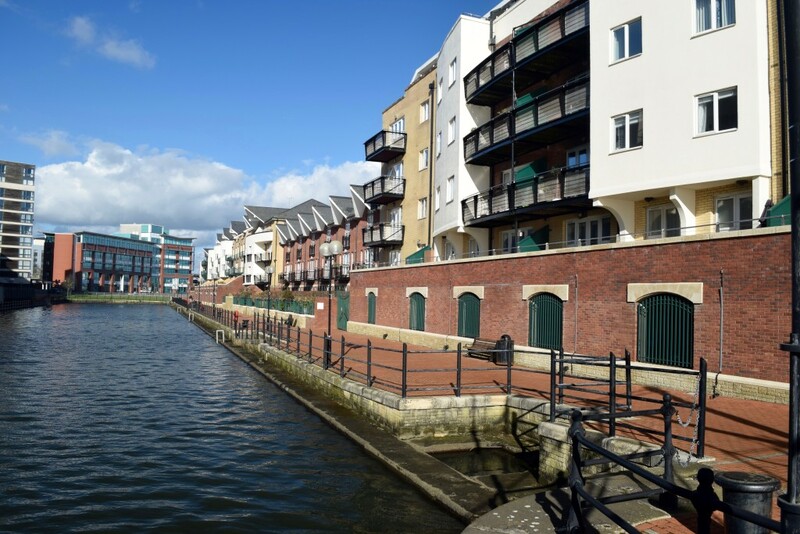 The present-day and future situation of the Cardiff Bay private rental property market is important, and I frequently liaise with Cardiff Bay buy-to-let investors looking to spread their Cardiff Bay rental-portfolios. I also enjoy meeting and working alongside Cardiff Bay first time landlords, to ensure they can navigate through the minefield of rental voids, the important balance of capital growth and yield and ensuring the property is returned back to you in the future in the best possible condition. As I mentioned in a previous article, the average house price in Cardiff is 7.54 times the average annual Cardiff salary. This is higher than the last peak of 2008, when the ratio was 6.91. A number of City commentators anticipated that in the ambiguity that trailed the Brexit vote, UK (and hence Cardiff) property prices might drop like a stone. The point is – they haven’t. Now it’s true the market for Cardiff’s swankiest and poshest properties looks a little fragile (although they are selling if they are realistically priced) and overall, Cardiff property price growth has slowed, but the lower to middle Cardiff property market appears to be quite strong. Even though we are not anywhere near the post credit crunch (2008 and 2009) low levels of property sales, the torpor of the Cardiff housing market following the 2016 Brexit vote has seen the number of property sales in Cardiff and the surrounding local authority area level off to what appears to be the start of a new long term trend (compared the Noughties). But coming back to today, looking at the property sales figures in the Cardiff area since 2010/11, a new trend of number of property sales appears to have started. Interestingly, this has been mirrored nationally. The reasons behind this are complex, but a good place to start is the growth rate of real UK household disposable income, which has fallen from 5.01% a year in 2000 to 1.68% in 2016. Also, things have deteriorated since the country voted to leave the EU as consumer price inflation has risen to 2.7% per annum, meaning inflation has eaten away at the real value of wages (as they have only grown by 1.1% in the same time frame). Next week I will be discussing how these (and other issues) has meant the level of Cardiff people moving home has slumped to once every 15.5 years. Here is number 16 on my top 20 streets in Cardiff, I am at Arabella St in Roath. The mind-set and tactics you employ to buy your first Cardiff buy to let property needs to be different to the tactics and methodology of buying a home for yourself to live in. The main difference is when purchasing your own property, you may well pay a little more to get the home you (and your family) want, and are less likely to compromise. When buying for your own use, it is only human nature you will want the best, so that quite often it is at the top end of your budget (because as my parents always used to tell me – you get what you pay for in this world!). Yet with a buy to let property, if your goal is a higher rental return – a higher price doesn’t always equate to higher monthly returns – in fact quite the opposite. Inexpensive Cardiff properties can bring in bigger monthly returns. Most landlords use the phrase ‘yield’ instead of monthly return. To calculate the yield on a buy to let property one basically takes the monthly rent, multiplies it by 12 to get the annual rent and then divides it by the value of the property. This means, if one increases the value of the property using this calculation, the subsequent yield drops. Or to put it another way, if a Cardiff buy to let landlord has the decision of two properties that create the same amount of monthly rent, the landlord can increase their rental yield by selecting the lower priced property. Now of course these are averages and there will always be properties outside the lower and upper ranges in yields: they are a fair representation of the gross yields you can expect in the Cardiff area. However, before everyone in Cardiff starts selling their upmarket properties and buying cheap ones, yield isn’t the only factor when deciding on what Cardiff buy to let property to buy. Void periods (i.e. the time when there isn’t a tenant in the property between tenancies) are an important factor and those properties at the cheaper end of the rental spectrum can suffer higher void periods too. Apartments can also have service charges and ground rents that aren’t accounted for in these gross yields. Landlords can also make money if the value of the property goes up and for those Cardiff landlords who are looking for capital growth, an altered investment strategy may be required. It is very much a balancing act of yield, capital growth and void periods when buying in Cardiff. Every landlord’s investment strategy is unique to them. If you would like a fresh pair of eyes to look at your portfolio, be you a private landlord that doesn’t use a letting agent or a landlord that uses one of my competitors – then feel free to drop in and let’s have a chat. What have you got to lose? 30 minutes and my tea making skills are legendary!